Grape breeders have responded to consumer preferences for seedless grapes with the development of numerous improved varieties. 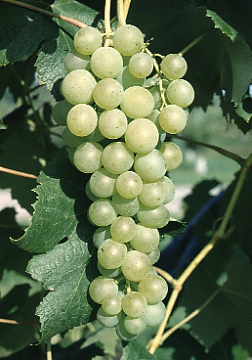 The seedless trait in grapes was originally derived from cultivars of ancient origin such as Thompson Seedless and Black Monukka. Most seedless grapes suitable for the eastern United States are descended from crosses with these two cultivars. Because the trait originated in cultivars not suitable for surviving the cold temperatures of New York winters, many seedless varieties are not sufficiently winter hardy (Table 2), although they are much hardier than their seedless parents. More recently named seedless cultivars (Canadice, Einset Seedless, Reliance, and Vanessa) represent a distinct improvement in cold hardiness. Breeding programs in New York, Ontario, Arkansas, and elsewhere continue to produce seedless selections with improved hardiness and quality. Promising selections from the New York program are available for test purposes only. 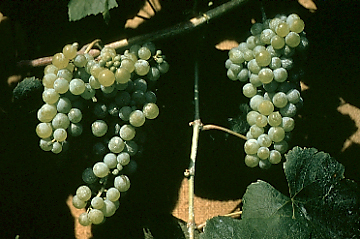 The degree of seedlessness varies greatly among seedless grape varieties. Most seedless grapes have vestigial seed traces that range in size from very small to large and noticeable. Seed traces in berries of the same variety may vary greatly in size and in the hardness of their seed coats. Climate is also known to affect seed trace size. Occasionally the seed traces in some seedless grapes are large enough to be bothersome to consumers. Notes on seed remnant sizes are given for varieties in which problems exist. Concord Seedless, though similar in flavor and texture to Concord, is unrelated. The clusters and berries are much smaller than those of Concord. The fruit matures earlier, has high flavor, and makes excellent pies and preserves. Productivity is erratic, and it is not recommended for commercial planting. In warm years, the variety produces fully developed seeds. See the University of Arkansas web site for more information. Marquis (Plant patent 11,012) was named and released at Geneva in 1996. 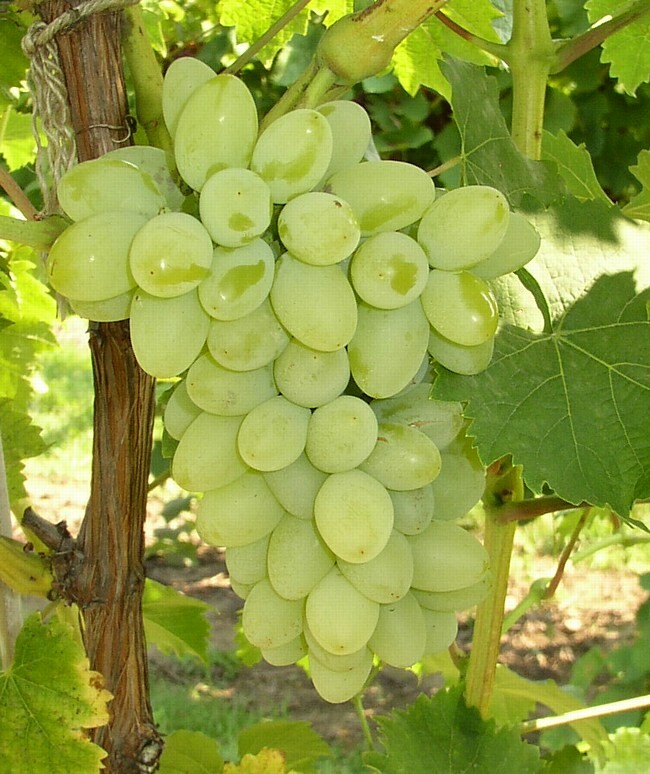 Clusters are very large, medium compact, and attractive, with large, round, yellow-green berries (3.5 - 5.0 gm/berry). Texture is melting, and the taste is very flavorful. 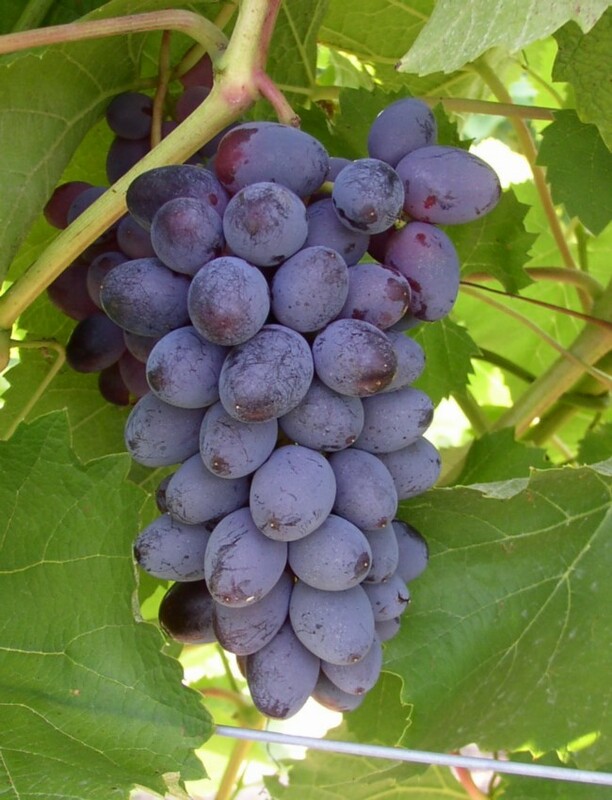 Ripe fruit holds well on the vine, with the flavors going from a mild fruity flavor when first ripe, to a stronger Labrusca flavor two weeks later. Giberrellic acid treatment is not recommended, but well-timed cluster thinning and cane girdling can increase berry size and improve cluster compactness. Vines are moderately hardy, medium in vigor and productive. For more information, see the Marquis Release Bulletin. 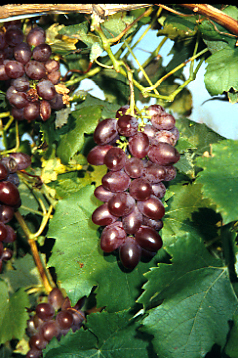 Vanessa was developed by HRIO, Canada, and is a red dessert grape of excellent quality. The vine is moderately vigorous and among the hardiest of seedless grapes. 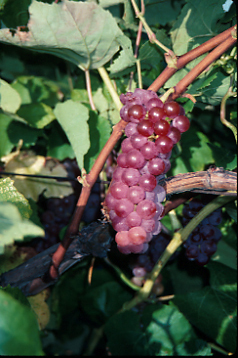 Grafting may be desirable on many sites to increase vine size (vines grafted on Teleki 5C at trials in Fredonia, New York, however, have shown poor fruit set with very small berries). The seed remnant is usually large and soft; when noticeable it is sometimes a cause for limited marketability. Berries are medium in size on medium, well-filled clusters. Storage potential is good. The flavor is mild and fruity, and berry texture is firm. The fruit quality is among the best of the red seedless types.